The British Equestrian Federation (BEF) is pleased to announce the appointment of Nick Fellows as its new Chief Executive. 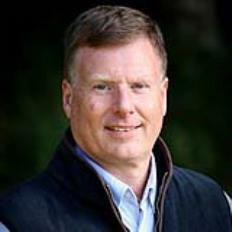 Currently the Chief Executive of Clay Pigeon Shooting Association (CPSA), Nick brings a wealth of experience and knowledge of Olympic and community sport, having worked with British Shooting; the British Olympic Association, as head of the Olympic Medical Institute; and as Interim Director for Bucks and Milton Keynes County Sports Partnership. He has also worked in media as a manager for Newsquest Media Group and as a Director of National Sports Medicine Institute (NSMI). sport. The BEF, along with its member bodies, has a great track record of winning medals at major events, including the Olympic and Paralympic Games, and is rightly regarded as one of the leading equestrian nations. “My experience of working with the World Class Programme team at the Olympic Medical Institute has given me some insight into the sport and the various facets it embraces. I am looking forward to meeting and understanding the objectives of the wide range of member bodies and the key people throughout the BEF, both staff and athletes, who together deliver the successful outcomes. Nick will join the BEF on 26 March 2018, taking over from current Interim Chief Executive Nicki Kavanagh, and Interim Chief Operating Officer, David Ingle, who have supported the BEF’s executive and guided the Federation through the compliance process for the UK Sport and Sport England A Code for Sports Governance.